*note, while this website undergoes changes, pdf files will not be available when copyright may be infringed. *important note: do not confuse with the title "America's assignment with destiny " also by Manly Palmer Hall, which is perhaps even more important and the confusing title seems almost intentional. if seen by the sheeple, the Illuminati think we don't read, and it is meant, if anything as confusion and "mutual assured distraction", the books and their own conversations are similar, quite coded in pseudo intellectualism and sophistication , absurd creativity, insolence, pride, and self-loathing. They somehow think that cheating is a virtue. * attention, this book is built from an agnostic stand, therefore confusing and prone to distract through clues, perhaps not intended but it is clear the author wants to sell the Illuminati Issue as sophisticated and interesting. But this site is not entertainment, please consider reading from Fritz Springmeier FIRST if you want to hear the truth with no punches pulled. ITitre 2 ch1 -.3 Toute personne a le droit de recevoir librement des informations, de se les procurer aux sources généralement accessibles et de les diffuser. Swiss Federation Constitution ITitre 2 ch1 -.3 Citizens have the right to receive and gather information freely from generally accsessible sources and to diffuse them. It has survived long enough for the copyright to expire and the book to enter the public domain. A public domain book is one that was never subject to copyright or whose legal copyright term has expired. Whether a book is in the public domain may vary country to country. Public domain books are our gateways to the past, representing a wealth of history, culture and knowledge that’s often difficult to discover.Marks, notations and other marginalia present in the original volume will appear in this file - a reminder of this book’s long journey from the publisher to a library and finally to you. The Lost Keys of Freemasonry: Or, the Secret of Hiram Abiff. I keep English as the only language since in Switzerland, a multilingual country has grown to embrace English in practice as the common bridge in the internet, current generations appear better trained in it as second language, in bigger numbers than the official and obligatory 2d language link, which is Swiss German for the Italian, French and Romansh, or any of these for those in a region where German is the mother tongue can be chosen as second. 911truth Switzerland as the domain 911truth.ch started in 2005 under a different name and acquired the domain .ch in 2006 after being listed as 911truth.org contact in Switzerland when Janice Mathews was in charge. Many things happened withing the truth movement as it grew so quickly and so much. This part of the movement knew divisions and problems within Switzerland when controversy naturally occurred as in any significant and sensitive matter of this magnitude, that is, the truth about 911. Its empirical attempt to investigation, its legal denunciations and warnings, its logistics, organizational problems, of all simple to very deep rooted beliefs in politics, moral and national security, would be perceived with suspicion and impatience. This caused, and still does cause severe fragmentation as would be expected from any paralleled significance in the history of alarming communications, although unprecedented because of the internet. 911truth.ch maintained a position as grassroots contact before 911truth.org saw its association to international contacts inconvenient (for whatever reason) and pushed it aside from their main contact page. As 911truth became a household name it was my decision, Fernando Tognola, to keep the name and, for my own reasons, saw a broader separation from 911truth.org desirable, although we remain listed and still respond as 911truth.org grasroots. Several thousands of articles and comments in an open forum in a short period of time were contributed by a big membership that exists archived in a database available at request. But the old method proved to spread to thin and be very time consuming and problematic, since 2008 these contributors are no longer part of 911tuth.ch and have spread to their own domains in Europe, Canada, U.S. and Mexico. 911truth.org grassroots has met an even worst fate as far as a tight movement, but a much better one in regards to its impact in very basic consensus, however vague, but significant enough prompting issues that have been known to virtually everyone. 911truth.ch met a similar challenge and I decided to close the public blogs for deep controversial problems, perhaps even infiltration from discrete agencies. The premise from which all reason follows is the big question: I have seen great thinkers, theologians, pastors, intelligence agents, and scientists in the truth movement stumbling upon very basic premises as soon as cornered into the simple but difficult questions. The axiomatic errors, (or presumptions if you will). I believe the truth has already being instituted by God, and this view cannot become a political movement without compromising the truth for the sake of popularity. An institution of truth will always fall in its own cracks as history should have confirmed infinite times unless such institution has His authorship, which I believe it to be the Church, which is spiritual, and her affairs in worldly matters aim at the salvation of souls through Jesus Christ. To what extent we are called on to walk that second mile, or when to buy that sword and fight for truth and justice while detaching from loving the world is a measure that worries me constantly, I'll carry this difficulty as my cross, knowing I am not of Cesar. We are usually told to have faith in God, truth and goodness, too bad this is too much for many of us to take at face value to the bank, as a Christian, I myself remain shocked at the difficulty of impacting even a little the world from an unpopular position. But the focus is on helping souls, not because Christians like it or even wanted to, but because although we saw how incompetent and weak we are for the task of helping even our own soul, we are commanded to obey. The quantity rather than the quality of information of the electronic age reveals instability: Many sudden small fragments of it are like sand quickly spread over the ease of flow of the internet being like water, and we end up with quicksands. Everything that can be shaken is being shaken. As my research coincided with many others as uncovering an anti-Christian agenda, I could not continue without re-embracing the Faith because its truth became evidenced in matters of this world. Trying to understand deep politics and events like 9/11 from a point considering the existence of other entities with many densities, conscious levels, and concrete interaction in this planet ( be it aliens, fallen angels,etc) sets the stage to a completely different ball game. An otherwise limited point of view of a secular education, if in error, will have missed the truth by just that much and infinitely more. This is rather simplistic and easy to understand but the implications tend to be frightening and painfully humbling to contemplate: if there is a true God and there are free will individual entities other than humans, that would set a field many times larger than a Godless universe. While assuming a godless view to men's problems in history, solutions have been very few and sporadic, and its main historical proponents were as Voltaire who saw in despair his former damaging blindness only at his deathbed, where aside from God's mercy, the predicament and its consequences to the world for generations to come appear by then irreversible. In the former God inclusive universe, as I am convinced, even deep politics in all its complexity can be approached, understood and overcome, if not solved for just as long as there is free will, which appears to be our compromise with any conscious life other than self. Unsolvable debates on legalization, globalization, prohibition, usury, money laundering, war etc, have difficulties so easily identified in a man or group disobedient or ignorant to moral standards that a hurry for the acquisition of of these should be obvious. Else we naturally end up with blind science helping an irresponsible and secular world justify anything when pressed for a radical social fix. But it is not easy, while some things stop being a mystery they sometimes become a burden, still with hope and joyful glimpses of life eternal, but a Cross as heavy as whatever love, by grace, remains substantially in us. When the absurdity of a soul-less universe mechanism is seen, the investigation of spiritual realms has lead people into the confusion and paranoia common in secret societies like the O.T.O., freemasonry, the secret services, countless times spreading and inciting miss-understanding, idiosyncrasy, vulnerability and tragedy throughout generations. This warning is usually given to every loved grandchild knowing that it will fall on deaf ears, because that which caters and tempts us to feel good rather than do right is the tendency of the human heart. We see it in Gnosticism and Manichean-ism from Egypt to Tulouse, from Ingolstad to Ascona and to the world of all mixtures of religion promoted there off wether Moonies, Buchmanites, Thomas Huxley's Agnosticism, H.G. 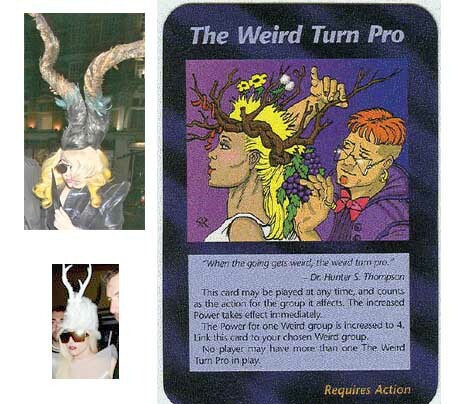 Wells' Metaphysical Society, even Anton Laveys Satanism or the worship to Lady Gaga by a broken teenager on hypnotic drugs. Anything goes as long as it is not a long-suffering persistence to follow Him to the cross. This was my painful realization for a few years and I became weary of my predicament, perhaps I should not meddle much into politics for clearly my words will indeed condemn me? But it was too late, having had some influence (hopefully not much) in spreading the same confusion that griped me in since my young wondering years into movements akin to Gnosticism, to new-age, to some absurd but comfortable oriental teachings, to Christianity yet also bouncing to and from denominations. Not unlike many, I was in the merry-go-round and I cannot recommend enough the clear writings of compassionate minds of people like C.S. Lewis, A.-D. Sertillanges, or Archbishop Fulton J. Sheen if what I write here is somewhat confusing. The usual trouble in any of my investigations has been the temptation to fall into lazy generalization and association fallacies and the all too common tendency to impute causes based on plausibility rather than carefully studied facts. Impatience, despair, pride and ignorance were my fall and only God knows how much damage I made. Without closely observing the instances of genuine enmity within the Church, it is easy to miss the well documented method of infiltration and sabotage. So for a few years I was part of that crowd that fell squarely into what appeared clear evidence that the Catholic Church and the Vatican was the actual enemy and I was engaged in writing several popular articles exposing, and on hindsight and by implication, falsely accusing the Papacy after Vatican 2, as an integral part of the conspiracy. I never thoroughly considered some temporal aspects of the Church as analogous to our Lord calling our St.Peter Satan just moments after giving him the keys. But our Lord didn't leave him (Peter), and rather told (Satan) to take his place "behind". But this perhaps was not even the case in what I saw in recent history!, as far as I can tell, the Church has been the only body consistently condemning the secrecy and hidden motives and dangerous errors such as those of Rosicrucians , Gnostics, New Age, Freemasonry and the like. Seldom I thought of my situation as panicking in the Church as a ship just about to capsize during the storm while our Lord is right there with us. Or could it be rather that it is us humans sleeping instead of watching for at least that one hour? Raised a Catholic and separating from the faith, I found pains to come back many years after, somehow I was surprised that human beings sin, condemned them while justifying my own licentious anger, so traditionalism, if anything, would become my corner. I was caught in another spot as an accuser of all that went on after Pope Pius X warnings. In sorrow I saw myself as if being buried with the very body of Christ but far from His spirit, while the spirit was still rising and fighting for our very defense, maybe even in hell during the Glorious mysteries, with the spirits and traits I lacked: Long-suffering, Faith, poverty of spirit and charity. At some point, things become clear, and after a few years I was welcomed back to the Catholic Curch. I felt I was welcomed back with open arms and joy, even if having had chosen Barabbas over our Lord. So, I rested my case, I lost and the Holy Church won both the case and my heart. These same years my tone became much more careful, and almost never wrote about my personal path. But now the times and stakes are high, people fear trusting an infiltrated truth movement. A well grounded fear because my writings are not worthy of the trust people clamor for, sometimes purity of intention is not enough, what-ever good works remain, those are of God in-spite of me. All I can offer is in a hurry for blunt transparency: That the only writings worthy of the trust people clamor for have already been written in the Holy scriptures. I can see the sides more clearly, even as a sinner but finally not alone, along with every spirit which confesses that Jesus Christ has come in the flesh is of God. There is hope, many will not confuse the Divine Eye of Providence in the Trinity with the ugly eye of Ra in a pyramid overseeing a perverse secular order. "It is a part of the Church's mission "to pass moral judgments even in matters related to politics, whenever the fundamental rights of man or the salvation of souls requires it. The means, the only means, she may use are those which are in accord with the Gospel and the welfare of all men according to the diversity of times and circumstances.""